The cell phone has come a long way. 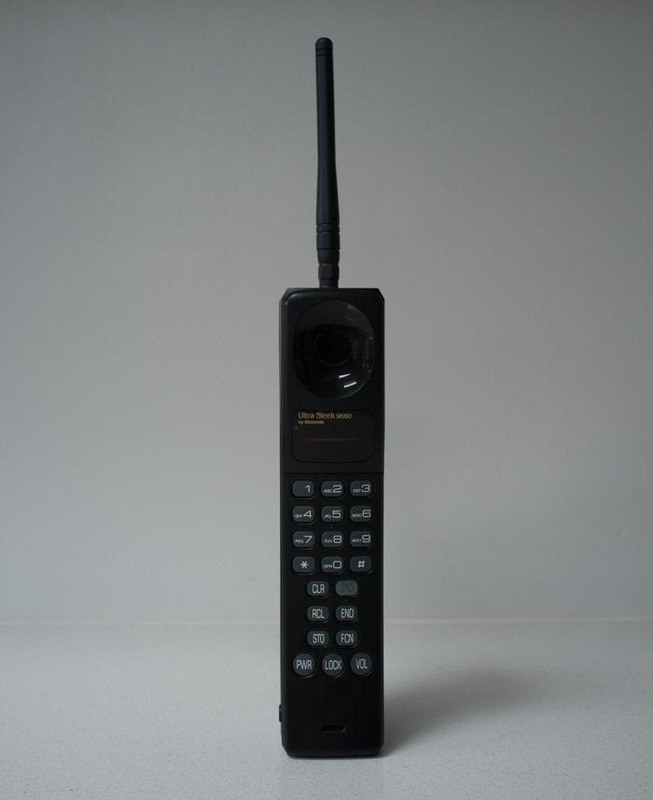 The very first "mobile devices" were made and used by the military in the late 1930s, with the first commercial mobile telephone service introduced by Bell in 1946. These devices were hardly what we'd call mobile today—some took up the whole trunk of a car, and others had to be carried on your back in a heavy bag. 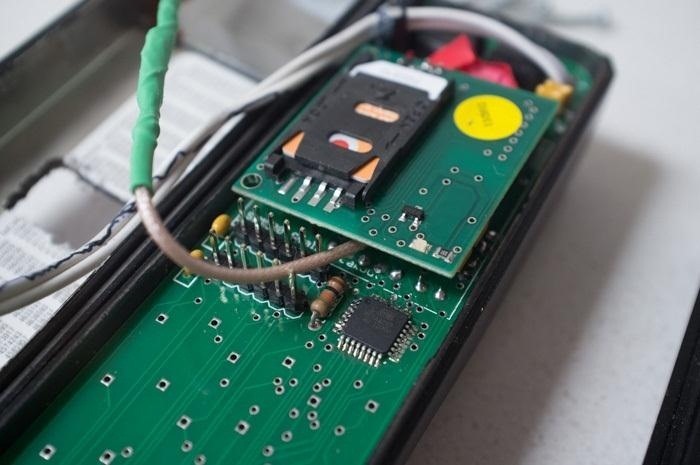 When Andrew F. was given an old-school 90s "Brick" phone (specifically a Motorola Ultra Sleek 9660), he decided to upgrade it by embedding a DIY cell phone made from a printed circuit board. The new guts bring it from analog to digital and into the 21st century, allowing it to work on today's cellular networks. Plus, a bigger OLED screen gives him enough space to read and type text messages. Andrew used two 328 chips to communicate with the Sim900—one to handle input and graphics and the other for sounds. He wrote a program to give it texting capabilities and designed a custom PCB in Eagle. To conserve space, Andrew used surface mount Arduino chips and an Arduino Shield for the boot-loader. 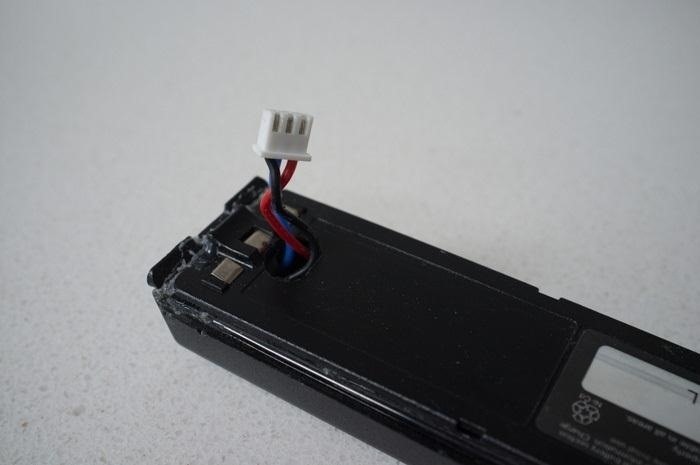 He had to remove the original battery and mount a 7.2V lipo battery inside with a hole drilled for the charging cable. Finally, he replaced the old analog antenna with a 900mhz GSM antenna. In the future, he wants to add a more powerful chip to give it more capabilities like Tweeting. 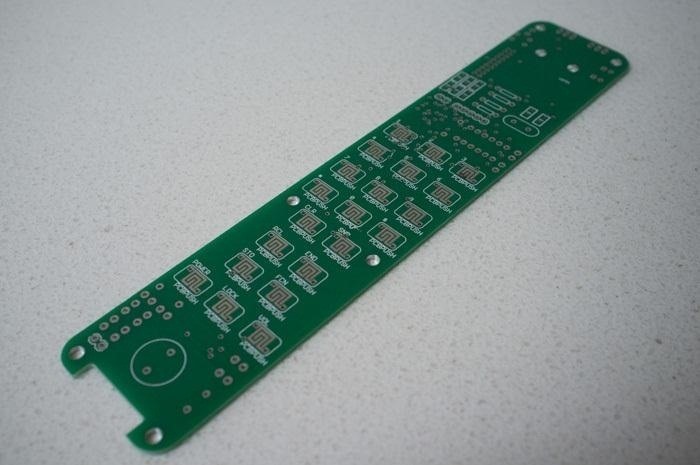 You can find more details, plus the code for the PCB, over on Andrew's blog.